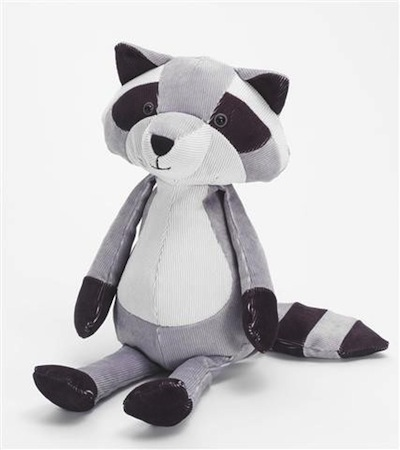 This Folksy Forester Raccoon Plush is a fabulous new stuffed animal from Manhattan Toy. Made from sturdy, soft, colored corduroy, this little bandit features bean-filled bottom, hands, and feet for sit-up cuteness. 14" tall from head to toe. Ages 3 & up.